Living outside of the Washington DC area, we were fortunate that we were close enough to take advantage of all that Washington has to offer. When we first moved to the DC area from Boston, I didn’t think we would be there for twenty six years so we made an effort to do it all. We went white water rafting in the Shenandoah River in Harpers Ferry, West Virginia (the town made famous by John Brown capturing the federal armory). We took our children to roll Easter Eggs on the front lawn of the White House. There isn’t a museum that we haven’t been too in DC and for many years we were FONZs – Friends of the National Zoo. Being a Bostonian, to me there was nothing as spectacular as being on the Esplanade for the 4th of July listening to Arthur Fielder or John Williams leading the Boston Pops in the 1812 Overture with the Howitzer cannons firing across the river that is until……we stood in front of the Lincoln Memorial watching the fireworks that were illuminating behind the Washington Monument. The booms of the fireworks reverberating against the buildings, flags flying and all many of our country’s landmarks all around us. I could go on and on about Washington but that is not the purpose of this post. Rather, there is another event which doesn’t garner as much attention but is a favorite of our family. 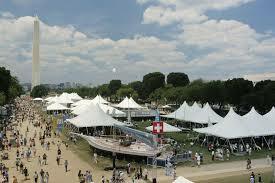 It is the National Folklife Festival sponsored by the Smithsonian Institute. This cultural and educational event is held outdoors on the National Mall the last week of June and the first week of July. The festival is ever-changing since they choose a country, a state or even one year The Silk Road to highlight. The day is full of demonstrations of cooking, traditional crafts (woodcarving for example), living traditions and usually some type of entertainment. There will also be events and exhibitions at other Smithsonian museums and it is recommend that you will allow time to visit those. 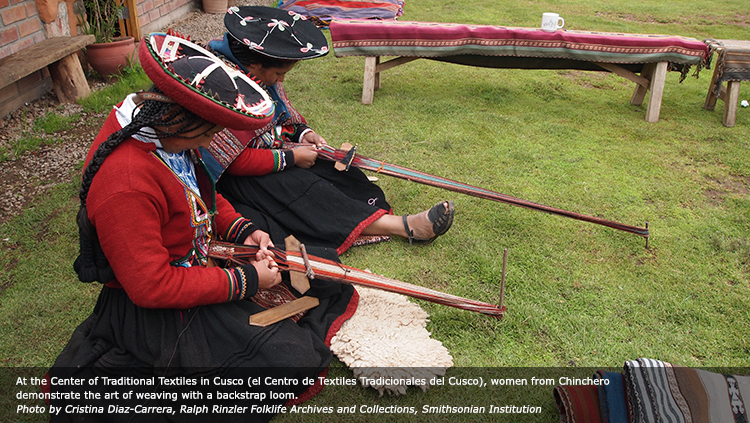 This year Peru will have the honor and distinction of being the main focus of this festival. Due to some construction on the Washington Mall, the event will be held in front of the National Museum of the American Indian, one of the Smithsonian museum’s. According to their website “visitors to the Peru Festival program will experience these unique connections through cooking and craft demonstrations, music and dance performances, moderated discussions, ritual and celebratory processions, and other participatory activities. In addition, there will be robust involvement with Peruvian American and diaspora communities. 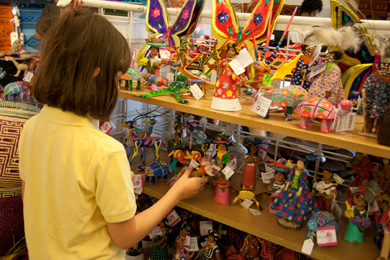 The public will have the opportunity to learn, to eat, to dance, to shop, to witness these vibrantly connected cultures and create their own connections with Peruvian artists and specialists on the National Mall and beyond. This is a great opportunity to combine two events at the same time in the Washington DC area – the 4th of July and the Folklife Festival. It WILL be hot and humid in DC at the time so be sure to bring water with you and take it easy. There are many things to do inside as well as outside. Thanks for reading Air, Land and Sea. Please consider becoming a follower to get timely tips and tricks for travel. Just click on the tab above that says "Follow"